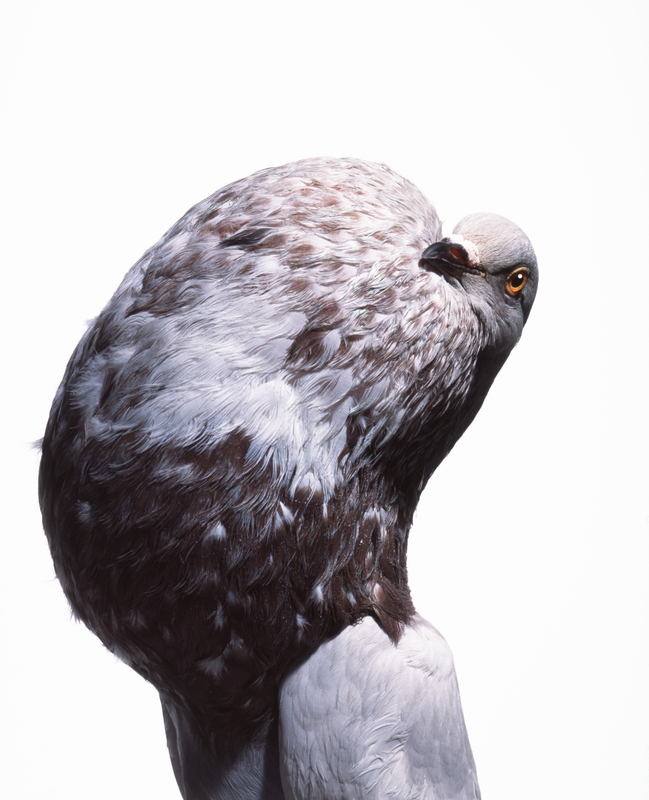 The English Pouter is a breed of fancy pigeon developed over many years of selective breeding. English Pouters, along with other varieties of domesticated pigeons, are all descendants from the rock pigeon. A breed with an enlarged crop, their distinctiveness was described by Charles Darwin in the Variation of Animals and Plants via Domestication, saying that the breed was “perhaps the most distinct of all domesticated pigeons.” This bird was photographed for a National Geographic article about Charles Darwin, “Was Darwin Wrong” NO was the first word of the article.